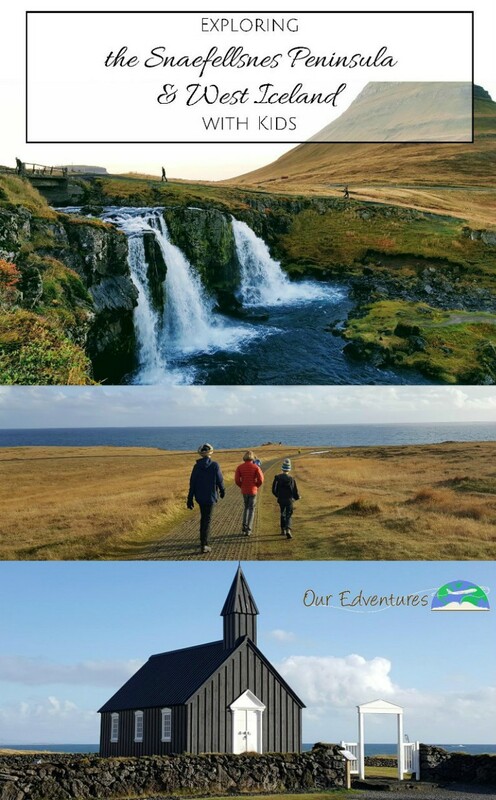 South Iceland - 7 Places Your Family Will Love! We just returned home from a week long road trip around Iceland and completely fell in love with this diverse land of fire and ice. This first post will include all the highlights of West Iceland and the Snæfellsnes Peninsula we enjoyed (and even a few we didn't get to). 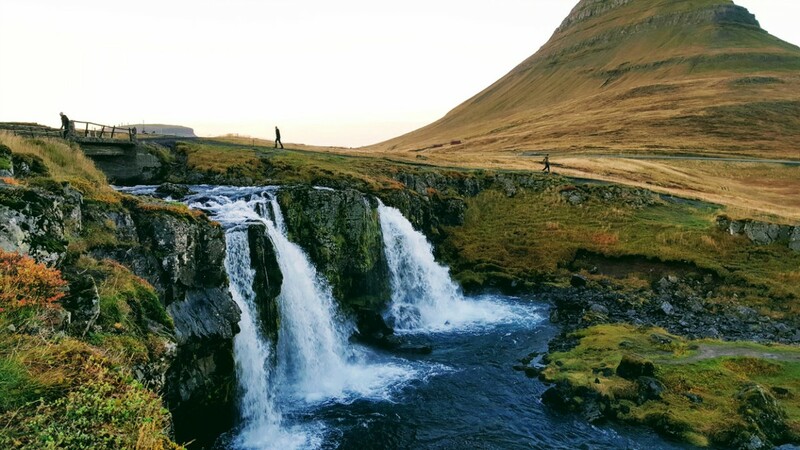 If you're planning a trip to Iceland, don't miss the stunning scenery of this less-traveled portion of the country. 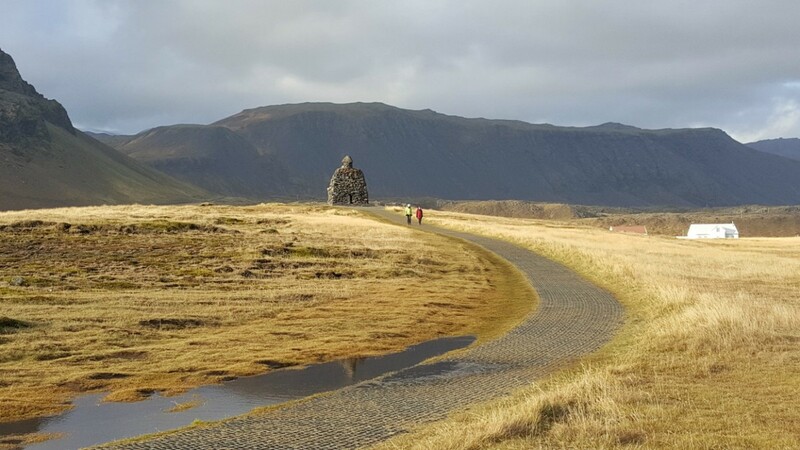 This loop takes you through the Snæfellsnes Peninsula and West Iceland, making nine stops along the way incorporating education and adventure. 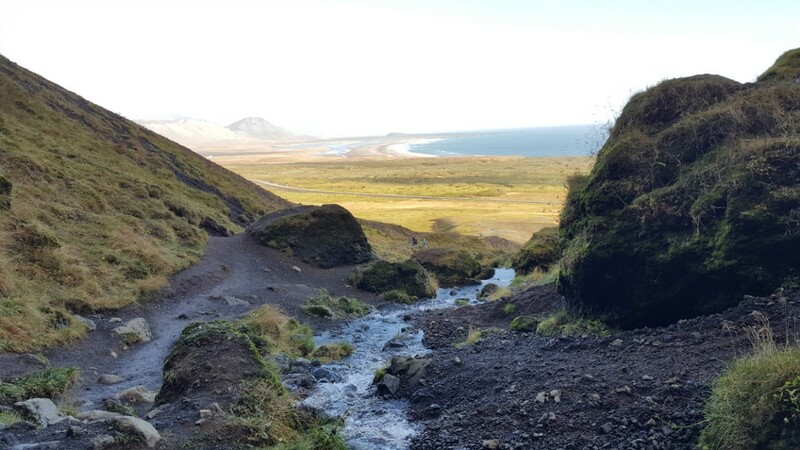 If imagining life as a Viking, discovering black sand beaches and waterfalls, and exploring a cave rumored to be the home of a troll, sounds like fun to you and your kids, then keep on reading. Let the fun begin! 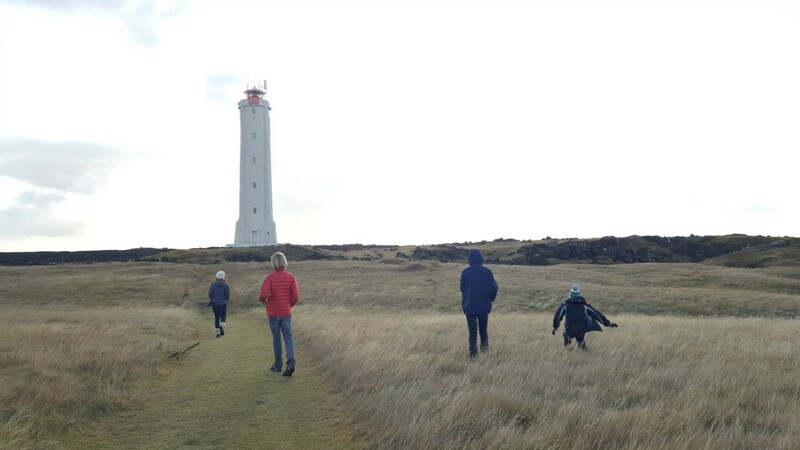 Many travelers visiting Iceland choose Reykjavik as their home base because of its proximity to the Keflavik International Airport and the larger number of lodging possibilities. We decided to stay in Reykjavik for the first two nights of our trip as well. We made the loop you'll read about here by sleeping in Reykjavik the night before and night after. 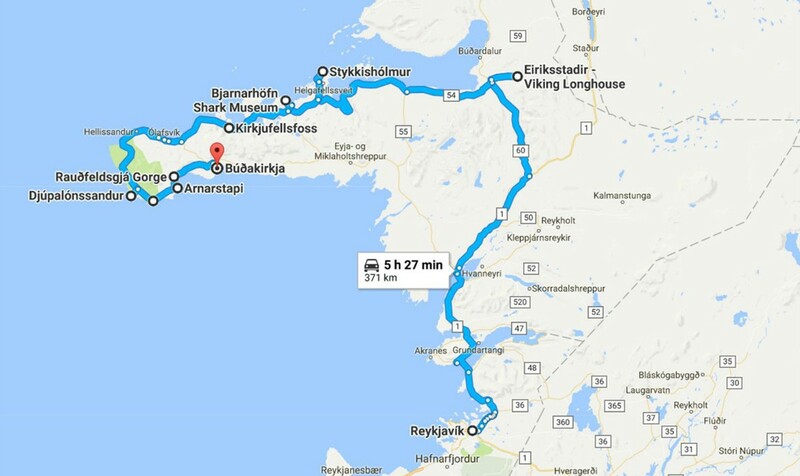 Looking back on it now, we might have made a better choice to spend the second night somewhere between the Snæfellsnes Peninsula and Reykjavik to minimize our driving time. We ended up getting back into Reykjavik around 9 pm, and that was fine, but then we turned around and headed right back out of town again the next morning. 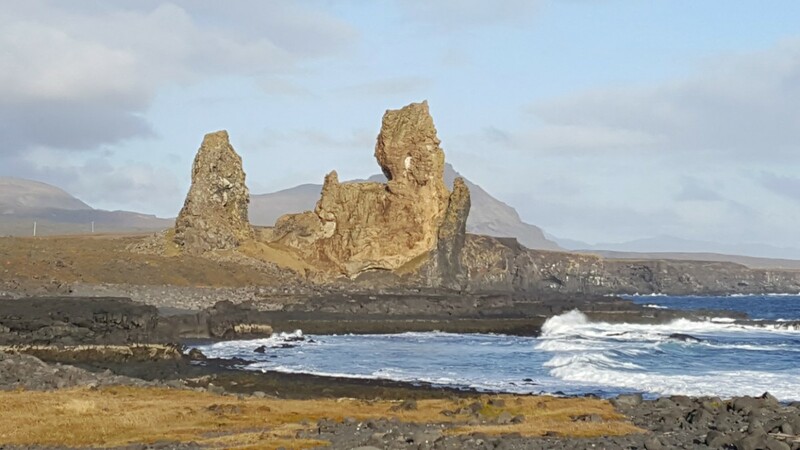 The drive to the Snæfellsnes Peninsula and West Iceland is about 2 hours from Reykjavik. All the points of interest listed in this post can be visited in one day (that's what we did). The total driving time for this loop beginning and ending in Reykjavik is about 7.5 hours. If that's too long for your family to be in the car in one day, consider sleeping somewhere along the loop or spread these locations out over two days instead of one. If you're beginning from Reykjavik, start with a hearty breakfast at your hotel or apartment or head over to Sandholt, our favorite spot for pastries and coffee in Reykjavik. Also, stock up on snacks for your road trip from one of the local grocery stores. I don't know about you and your kids, but plenty of snacks and drinks are a must for a successful road trip for our family. Lastly, make sure you’ve got some Audible downloads ready to go and charged up iPads. Along this route, you’ll come to a tunnel that goes under water connecting two portions of land. This tunnel has a toll which can be paid by credit card or local currency. Speed is monitored in the tunnel by camera and strictly enforced. If you’re cited, you’ll see a red flashing light and then receive a speeding ticket in the mail once you’re home. Just saying. Imagine life as a Viking in the 9th century! 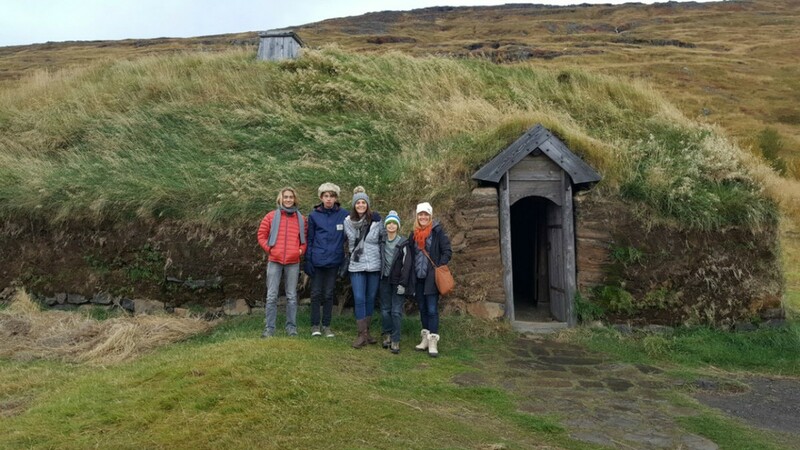 The Eiriksstadir Viking Longhouse is a great educational stop for the whole family and a perfect first stop on your West Iceland Loop. Contact them ahead of your travels to make sure they will be open on the day you plan to visit. We went in October, and although they don’t keep regular hours during the shoulder season and off-season, they were happy to open for us and provide a tour. We made our appointment for 9 am, and that worked great for us because it forced us to leave Reykjavik by 7 am which was good for our long day ahead and all we hoped to see. 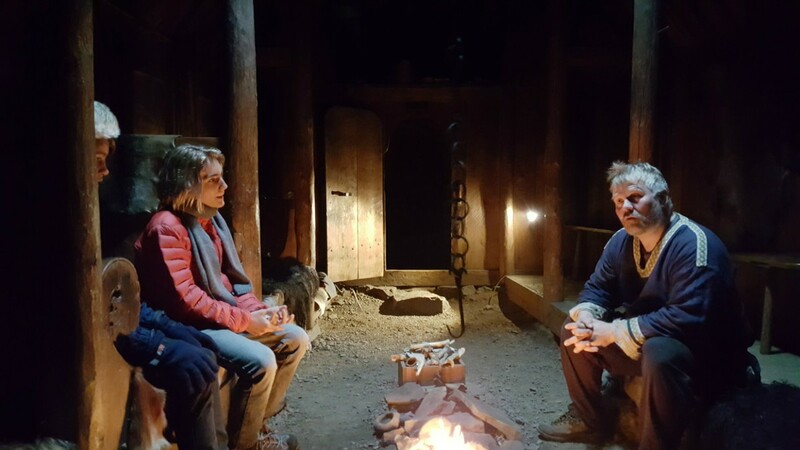 Once we arrived, we toured the inside of the Viking longhouse, dressed in Viking clothing complete with helmets and swords, and learned about Viking history in Iceland, Greenland and the Americas. There is some archaeological evidence that connects this particular location with Leif Erickson’s birthplace. This longhouse is a replica of what a Viking house would likely have been like in the 9th century. Inside the gift shop, you’ll find hand-knitted wool sweaters that were lovingly made by the owner’s grandmother. They were priced better than any other hand-knitted sweaters we saw anywhere in Iceland. Stykkishólmur is a cute little fishing village, and if you’re a fan of Ben Stiller’s recent movie, The Secret Life of Walter Mitty, you’ll recognize this spot. 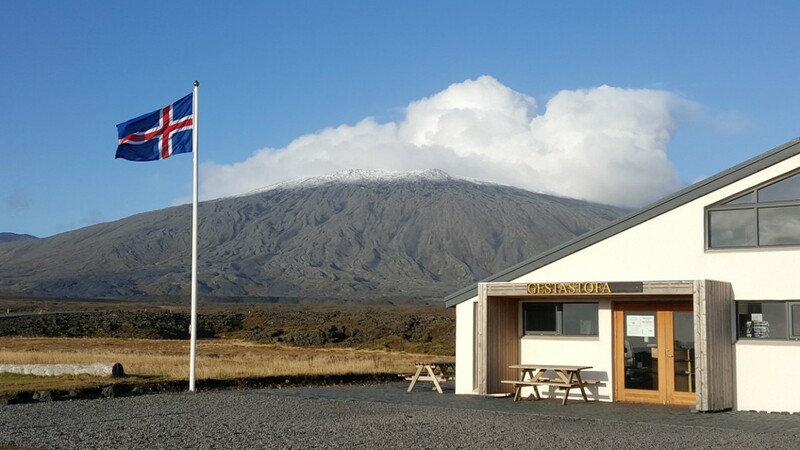 Check out the Volcano Museum or Norwegian House if time permits. If you're looking for a place to have lunch, you'll find more options here than anywhere else along today's route. Bjarnarhöfn Shark Museum is a small museum with a friendly staff dedicated to sharks and a great spot to try the legendary putrefied shark. They are typically open daily from 9 am to 6 pm, but contact them ahead of time to confirm if you’re planning to stop in. You'll know you're at the right spot when you find a small, crowded parking lot right off the road with lots of cars. Kirkjufellsfoss is a beautiful waterfall with a walking path around it. 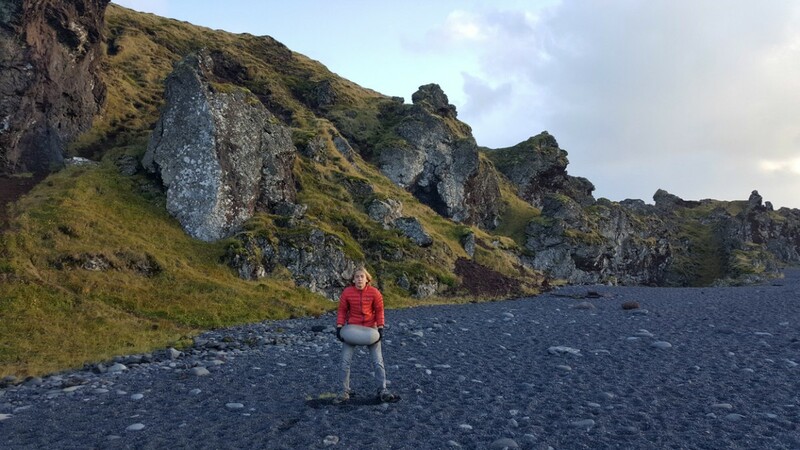 Djupalonssandur Beach is a black sand beach with unusual rock formations. It is famous for the lifting stones scattered around the beach that were used for testing the strength of sailors. 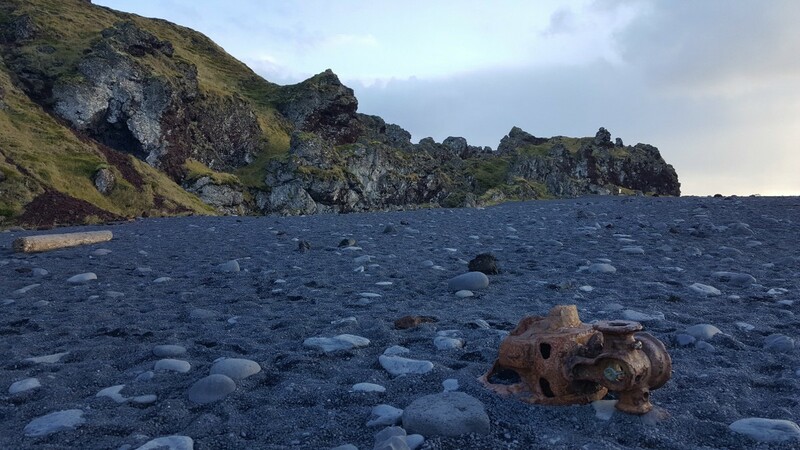 There are also iron remains from a British trawler that wrecked in 1948. There are two vantage points from which you can view Londranger. 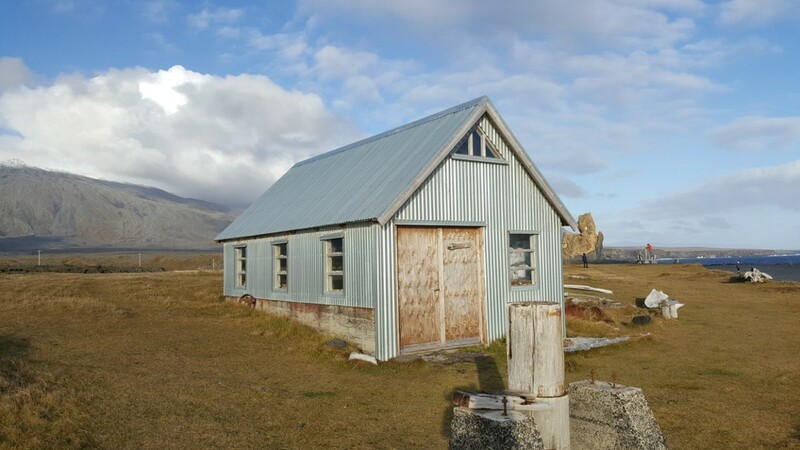 The first you'll come to is approximately 5 kilometers down the road from Djupalonssandur Beach. Make a right and head toward the coast to a parking lot and the Gastastofa Visitor’s Center. This small educational center is a fun stop for kids with their hands-on exhibits showcasing the local animal life and geology wonders. A short walk away is the Malariff Lighthouse built in 1917. As you follow the coastline looking toward Londranger, you’ll find an old whaler’s house, beached whale bones, and some playground equipment including a short zipline that our boys loved. From this area, you'll see Longranger in the distance and be able to catch a beautiful picture with the blue water in front of it. Then if you want to look at it up close, go back on the main road and continue just another kilometer or two and you'll see the parking lot and signs on your right-hand side. 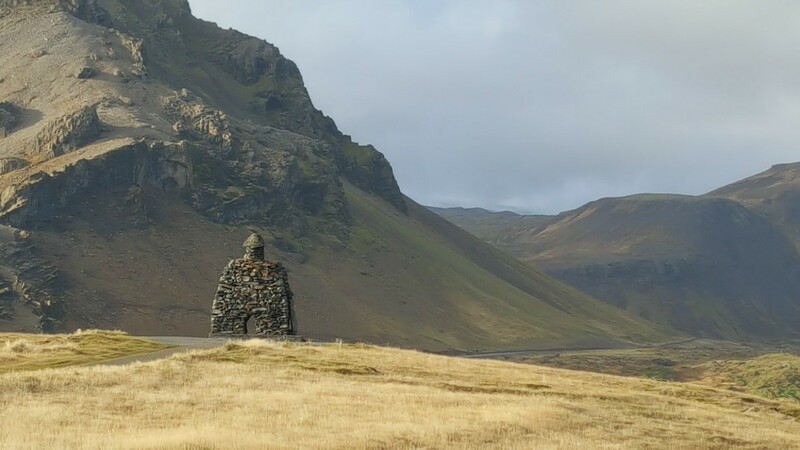 Arnarstapi is located just off the main road and has a monument dedicated to Bárður Snæfellsás - the Mythical Protector of the Snæfellsnes Peninsula. This is the stuff kids love, a legend about a half-man and half-troll creature! 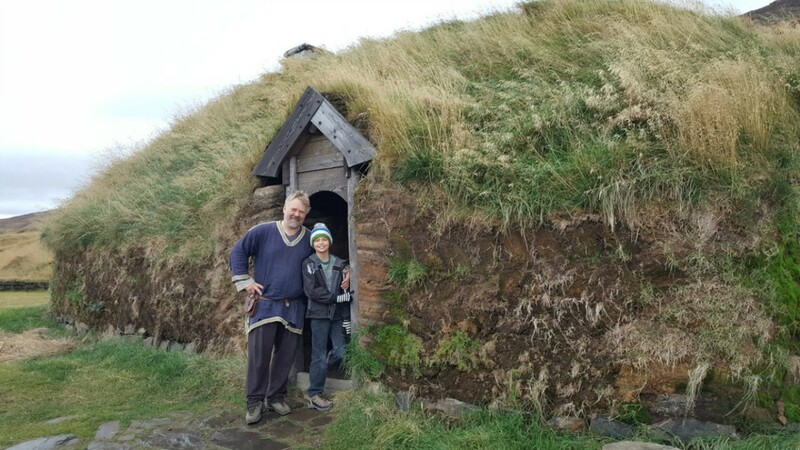 He supposedly lived in a nearby cave with his two daughters (next stop on the loop) while his brother lived here at Arnarstapi with his two sons. When the boys pushed one of the girls out on an iceberg, and she drifted out to sea and eventually to Greenland. Even though she was unharmed, Bárður was so angry he killed the boys and was never seen again when he went into a glacier. 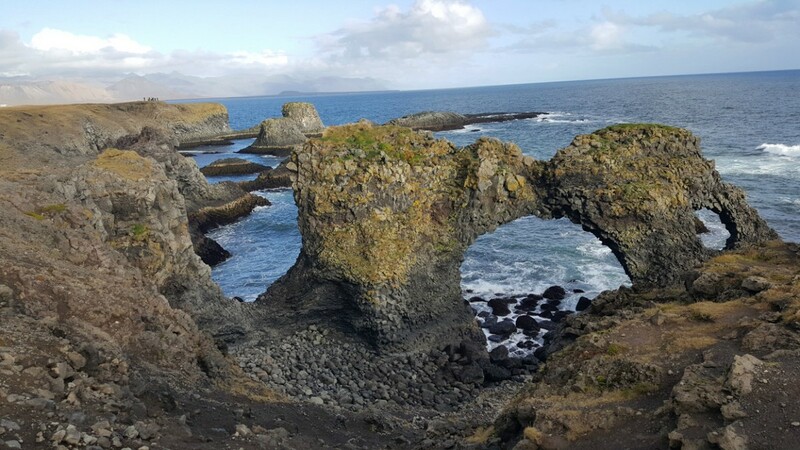 After admiring the monument, take a little hike toward the coastline for black sand beaches with a rock arch and geological pillars. 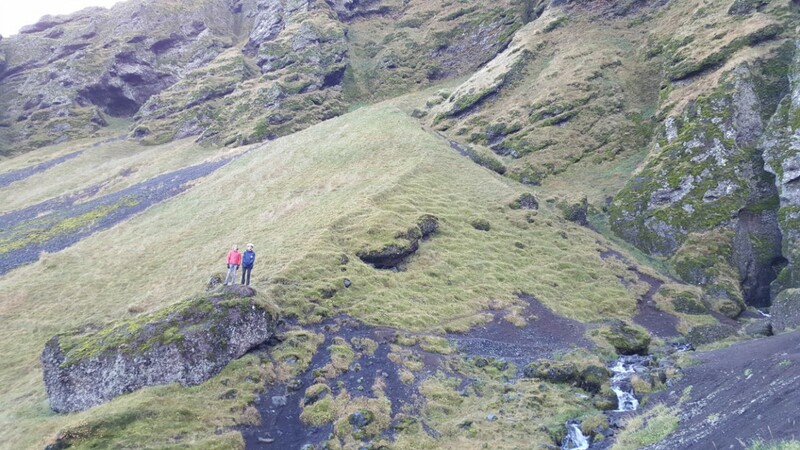 From the parking lot, hike up to Raudfeldar Canyon (Bárður's home) and explore as far as you dare. The further you go the more narrow it gets. 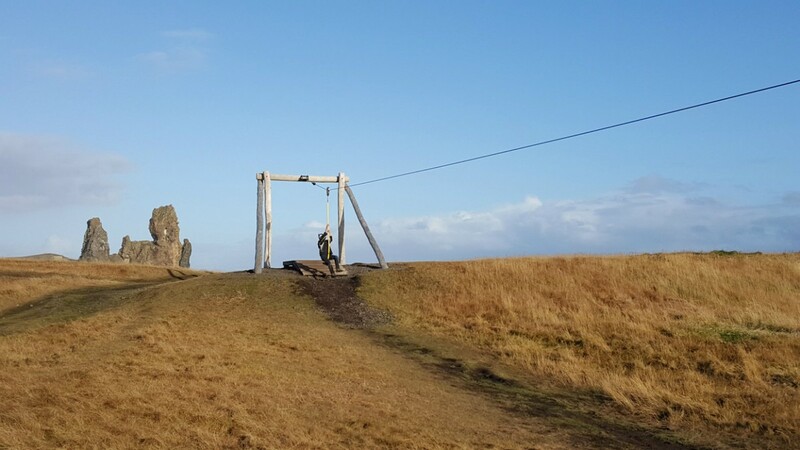 If you and your kids are enjoying the Saga of Bárður Snæfellsás, check out this website for even more details about the relationship between these two brothers and other points of interest around the Snæfellsás Peninsula. 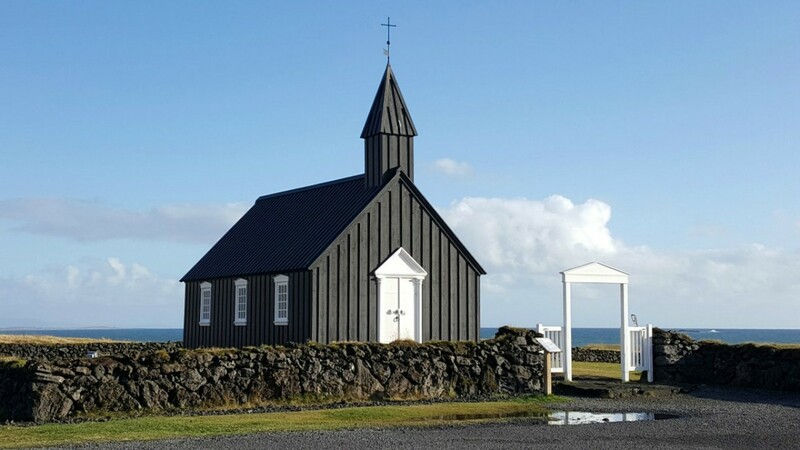 The Budir Church is the oldest wooden church in Iceland built in 1703 by a Swedish merchant. If you are interested in a hike, check out one of the hiking trails that begin from the parking lot here. And that's the end of the Snæfellsnes Peninsula and our West Iceland Loop. From here the drive back to Reykjavik will take approximately 2 hours. If you're interested in finding a place to stay closer than Reykjavik, check out Hotel Rjúkandi or Borgarnes Bed & Breakfast. The next day we did the Golden Circle Loop and could have saved some driving time by not returning all the way back to Reykjavik. 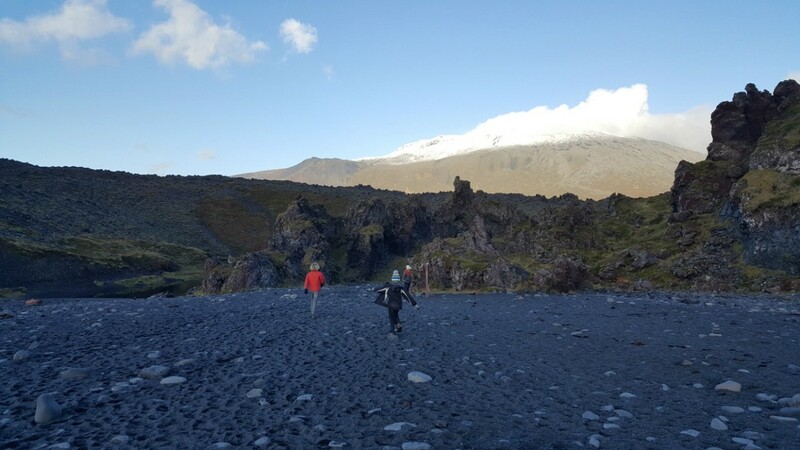 Have you explored the Snæfellsnes Peninsula and West Iceland? What did we miss? What were your favorite parts? We'd love to hear from you. Leave a comment below.